The State Hermitage, The State Russian Museum, The Pushkin Museum of Fine Arts and others will take part of a special promotion this fall to mark the 175th anniversary of state lender Sberbank. Entry to exhibits at 18 museums across Russia will be free during October and November as part of a promotional event sponsored by Sberbank, Russia’s largest bank, which this year will be celebrating its 175th birthday. “We will begin the jubilee celebrations with a global promotional event together with our three largest museums – The Hermitage, the Pushkin Museum of Fine Arts and the State Russian Museum – opening their doors for a greater number of visitors,” announced German Gref, head of Sberbank. 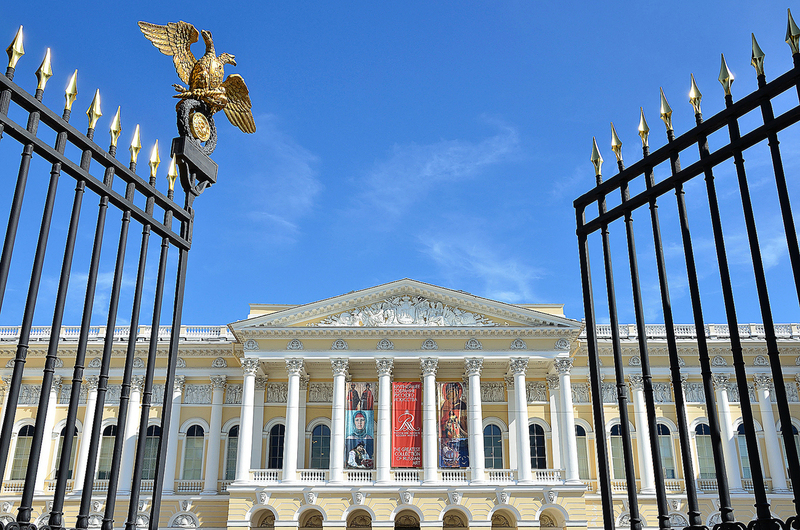 “If our initiative can help millions of people get to know the great heritage of Russia’s museums, then that will be the best 175th birthday present Sberbank could ask for,” he added. From Oct. 1 entry to the Pushkin Museum of Fine Arts will be free, and visitors will be able to see the permanent exhibition “Piranesi: Before and After.” Furthermore, in the middle of November, with the help of Sberbank, the museum will open an exhibition for the blind and poorly sighted, with copies of works from the museum’s collection by Botticelli, Cranach, Chardin, Picasso, Gauguin, and Rousseau that visitors will be able to touch. On Thursdays, residents of St. Petersburg and visitors to the city will be able to visit the State Russian Museum free of charge and see the permanent exhibit “Wassily Kandinsky and Russia." A total of 17 cities will take part in the initiative. The Yaroslavl Art Museum will open the exhibition “Ilya Repin and his followers;" Perm will show an exhibition on the Russian avant-garde with works by Kazimir Malevich, Wassily Kandinsky and Natalia Goncharova, and Vladivostok will open an exhibition named “A City Romance” with canvases from Vasily Surikov, Isaak Levitan, Viktor Vasnetsov and Konstantin Korovin. There will be a large separate project dedicated to Korovin in Kazan, where around 50 of his works will be on display.